What is a Pre-Qualified MLM Lead? What is a prequalified MLM lead? I define a prequalified MLM lead as someone who (1) has the money to get involved in network marketing, (2) has recently expressed an interest in getting started in MLM, and (3) someone who is willing to get started right away. In my opinion, these are three most important things to qualify a prospect as a good prospect. On the other hand, someone who is unemployed and broke, someone looking for a part-time or full-time job, or someone looking to get rich quick are not a pre-qualified MLM Lead. Neither are opportunity seekers, your Uncle Ted or your neighbor Sally. Although you might sponsor some people from these categories into your business opportunity, they probably won’t do anything with the business. Instead, you want pre-qualified leads (that meet the criteria above) to contact you about what you have to offer. If you sold houses for a living, would you try to sell a house to someone who didn’t have a job or any income? Would you try to sell a house to a homeless person? Or would you try to sell a house to someone who didn’t want to buy a house? I hope not. And if you did try to sell these people homes, you would get horrible results. The reason you wouldn’t want people in these categories as a client is because they aren’t “qualified prospects.” In other words, they have never expressed a desire to purchase a home and have never contacted you to get more information about buying a home. Just remember, you will never sell a steak to a vegetarian. Any true “sales professional” understands their target market. And they focus their time, money and energy on their target market. They take the time to “pre-qualify” a person BEFORE they talk about what they have to offer. That way, they can work smart and not waste their time and money on people who don’t want (or can’t afford) their product or service. Never forget this! In the MLM Industry, most people spend a majority of their time working with the wrong type of leads. They spend most of their time trying to “sell” people and “convince” them to join their business opportunity. Yet, most of the people they talk too aren’t looking for a business opportunity. 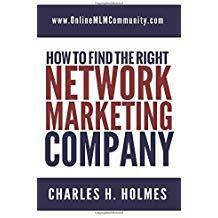 Or if they are looking for a business opportunity, they aren’t looking for a network marketing business opportunity. Personally, I don’t like the idea of pitching or selling my business opportunity to everyone I meet. And I don’t think it’s very effective either. Instead, it’s much more effective to have people contact me about my business opportunity. Does that make sense? You want people who meet the three criterion listed above to contact you first, about what you have to offer. This type of person is a pre-qualified MLM lead. Rather than talking to everyone you know and prospecting complete strangers, I think it’s smarter to advertise what you have to offer and let prospects contact you. At this point, you simply follow-up with your prospects and help them get started. Obviously, not everyone who contacts you will join your business opportunity or purchase your products. But if you advertise the right way, you will get good results. In conclusion, the smartest network marketers focus their time, money and energy developing and talking with pre-qualified leads. This allows them to work smart. In my opinion, a pre-qualified MLM lead is someone who contacts you about what you have to offer. In addition, they must have the money, time, and desire it takes to get started in network marketing. Don’t make the common mistake of trying to pitch your products or business opportunity to everyone you meet. Instead, learn how to become the hunted rather than being the hunter. Learn how to advertise your opportunity to your target market and let people contact you first. That is the key to success. What are your thoughts? Leave a comment below and tell us what you think. Totally agree, it’s better to be hunted than to be out there hunting. Pre-qualifying prospects is a no brainer but I think in the beginning when there is a lot of pressure to build the business you find yourself scrambling to get people in. If you come into the MLM business knowing that you are only going to share the opportunity with people who you know can take advantage of it you won’t waist time and energy selling sand on a beach. Taking a little time to pre-qualify your prospects is a wise business move. I’d rather say less to more people and only do presentations with people I have pre-qualified. Pre-qualified MLM leads are the ideal candidates for bringing into your MLM business. They have the desire and the drive to really take initiative without having their hand held. Whenever I have come across what you describe as a pre-qualified MLM lead, it has also been the case that they have done their research so they kind of know the ins and outs, what will be required of them, and what to expect prior to me sharing any specific information with them which saves us both a lot of time. Yes, having prequalified leads is a great way to go. You have to screen people so you can work smart and not waste your time. Does anyone like telemarketers? NO. That is because they make calls out of the blue, (most often right in the middle of dinner), trying to sell you something that you do not need or want. Or, even if you might be thinking of purchasing their mentioned product,you would now purchase it from anyone but the company that the telemarketer is calling from. Any time you attempt a contact with anything other than a pre-qualified lead, you run the danger of being lumped in with that telemarketer who calls during dinner. Work smart – this article is spot on! Thank you for posting it. The whole key to finding people is to become the hunted, not the hunter. Don’t interrupt, chase, bug, pressure or annoy people. Use creative marketing that makes you a welcomed guest, not an uninvited pest. Just my two cents. Years ago, I worked as a telemarketing manager for a very large home improvement company. There were very strict guidelines in pre-qualifying leads for the salespeople to run. It makes great sense. They, of course had to have an income; had to own the home; had to have four hours of free time. If none of these were met, we didn’t go near it. This is my advice in your MLM. The pre-qualifications that Chuck described here are important. I would find a way before you visit the prospect, to see if they meet all of them. It can be in the form of simple questions over the phone or in an email. Chuck’s advice is spot on. If you follow it, you will have great experiences.